First Harrison Bader's dream was just to get drafted. 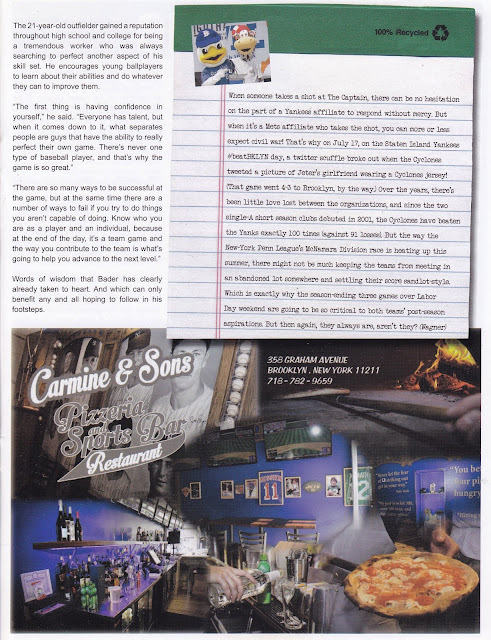 Once the St. Louis Cardinals made that a reality, he turned his laser-like focus on making the major leagues. In just two short years, Bader rode the elevator all the way from A-ball to the major leagues. When Cardinals outfielder Dexter Fowler went down with a forearm injury, the club reached into their minor league system and gave Bader his long awaited call. Marking on Bader wasted little time putting his signature on his major league debut, helping St. Louis to a July 25, 2017 victory against the Colorado Rockies. Leading off the 9th inning, Bader smoked a double off of Colorado's Jake McGee for his first major league hit. After moving to third on a sacrifice bunt, Bader sprinted home when Jedd Gyorko lofted a sacrifice fly to right field that was just deep enough to plate him for the winning run. While Bader's mad dash to home plate may not hold the same place in Cardinals lore as Enos Slaughter's, his hustling style of play surely has the Hall of Famer smiling in the heavens. For those who knew him here in the New York City area, Bader's on-field spirit and skill came as no surprise. 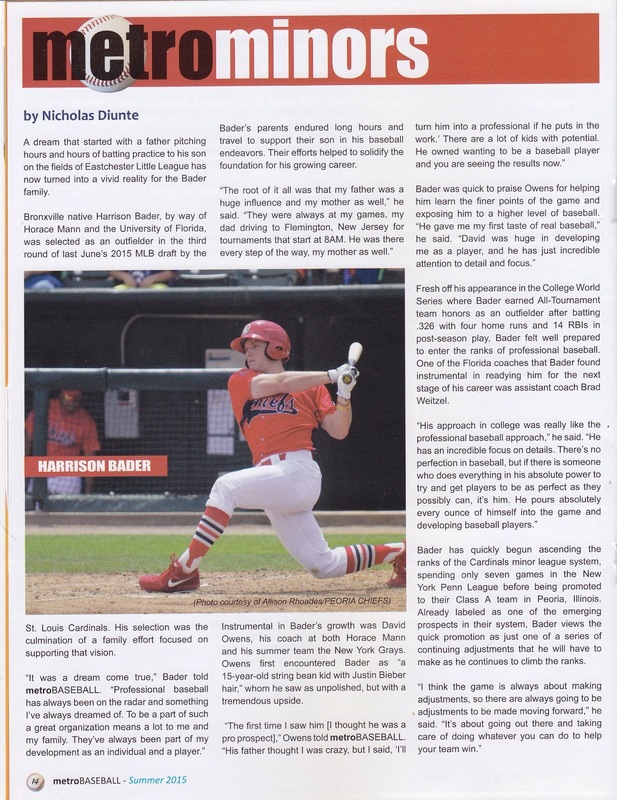 Back in 2015, I spoke with Bader shortly after he was drafted for metroBASEBALL magazine in the article pictured below. It was obvious after a few minutes into our conversation, that he had a professional mindset that was rarely demonstrated by a player fresh out of college. Now that he had made the major leagues, rest assured that Bader will continue to work and grind because it is the only way he knows.